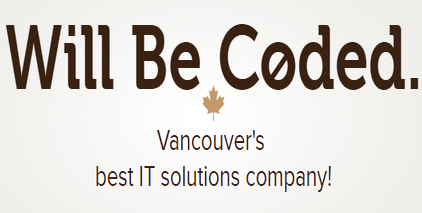 Willbecoded.ca is a Canadian company based in Vancouver which offers Magento theme development services to anybody who needs them. Available through email, phone, or live chat, our highly trained staff is able to take on multiple orders of different kinds to give customers the best service they could ask for. As well as offering Magento themed websites in general, Willbecoded.ca offers bespoke Magento theming for websites which have specific purposes, and ones which can fit the various needs of everyday businesses. All our staff are proficient in working with both the front and the back end of Magento theming, and can handily create websites which cater to the needs of both employees and customers of niche brands. All the staff at Willbecoded.ca are dedicated to ensuring that all clients are completely satisfied with the designs and websites they are given. Why is a Theme Design Needed? Overall theme design	is something which is much more important than people think when it comes to web design. Magento, with its many available themes which can be customized in various ways, is something which is therefore extremely helpful to clients who want a customizable yet useful theme for their website. • Using a Magento custom theme gives the client more flexibility and functionality in their site. • Magento themes allow sites to perform better both in search rankings and with customers. • The use of themes and customizations can act to improve the overall brand of the company. The work done by the Magento web developers can cover many different angles of software development. 1. When a project manager is first assigned to a client, it is their job to find out as much information as is possible about the work being done, why it is necessary, and what the client hopes for it. • Clients who worry about sharing personal or sensitive information do not need to worry – Willbecoded.ca offers complete confidentiality to all of its clients, along with guaranteed security for their project if it is housed on the SSD server run for this purpose. 2. If a client has a Magento theme running on their site already but wants it to be customized in some way, it can be done at Willbecoded.ca. • There are two reasons for customization and tweaking of an already existing theme – either the client wants some customization because the site is branching out, or the theme needs to be updated. Particularly in the modern era, digital technology can change very quickly. Because of this fact, Willbecoded.ca will work with clients to create a design which, while it will not become obsolete for the foreseeable future, also does not contain any separate elements which will, in and off themselves, become obsolete. The level of customization in the area depends on how much time the client wants to spend keeping the site and themes up to do – light customization can be handled on a yearly basis, while heavier customization will last longer. 3. If the client comes to Willbecoded.ca and needs the theme of an existing site changed completely, our Magento web developers have the skills needed to be able to change the site completely without losing any of the data. Ecommerce theme design and customized theme creation – in today’s digital world, online shops, services, and landing sites need to be unique and eye-catching to have any hopes of attracting customers and traffic. Landing page theme design – the landing page of a site is the page which most people normally ‘land’ on when they first reach the site in question. Arguably the landing page should be designed first, but Willbecoded.ca can also offer services to change the landing site of the page to more accurately reflect the rest of the site. Shopping cart theme design – Willbecoded.ca allows for the creation and customization of most of them in service of their clients. Shopping carts are extremely valuable pages on a website, because sooner or later (if the website has products which are sold), all customers will go through it. Magento theme integration – our project managers will work with clients to see how the sites in question need to be integrated with Magento. Magento web developers will find the correct way to integrate themes so they fit with the overall theme of the website. • The first project done by our Magento web developers was completed in 2002, and since then we have only grown in scope. All of our staff have huge amounts of experience which they can offer to clients coming to use our service. • All our staff are solution oriented, working with clients to come up with the best solution for all parties, and retain an open mind in all situations. 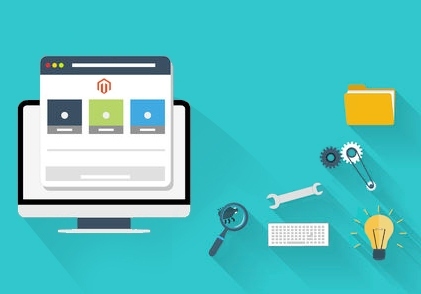 Every request for help with Magento theme design is filtered into a system which will take customers through a clearly delineated process to give them the best product they need. When the initial request is made, Willbecoded.ca will come back with an approximate quote for the work needed, and assign a project manager to the project. Fifty percent of the quote will be required as a deposit at this point before the project can begin. Once this is paid, the project manager will work with the client to create a baseline project which can be sent to the design department, after which the finished product will be sent to you for perusal. Once you are satisfied with our work, then you can close the project by paying the rest of the deposit. This is a solution for Businesses who want to start selling products or services online (e-commerce).